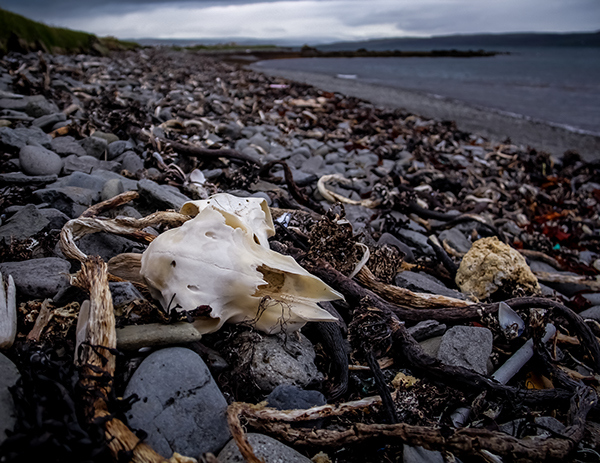 While on my trip Iceland, I ran across a beach covered by driftwood, seaweed, and many other things. 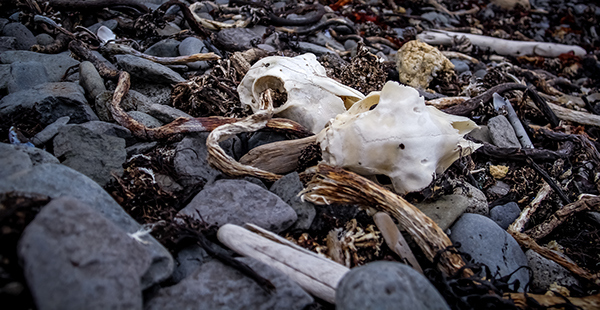 The weirdest part about the beach was the thousands of different bones. Bones ranging from fish bones to a full skeletal remains of birds. 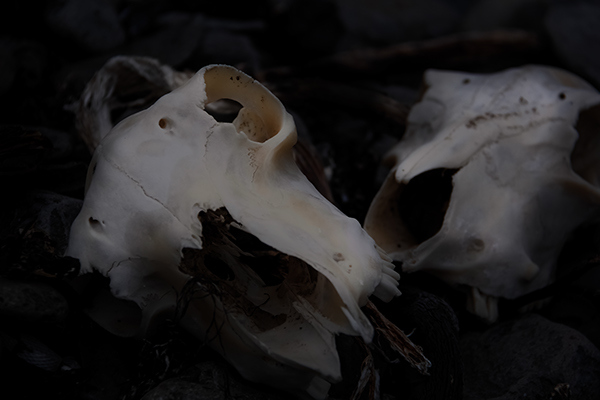 But the 2 bones that i found the most interesting were these two sheep skulls laying right next to each other. 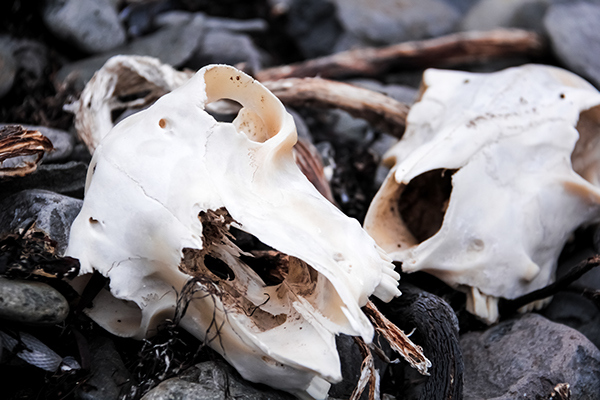 Taken somewhere in the West Fjords.